Quick folks, get behind this one!A Cautionary Tail is an animated short-film-in-the-making starring Cate Blanchett, David Wenham and Barry Otto. 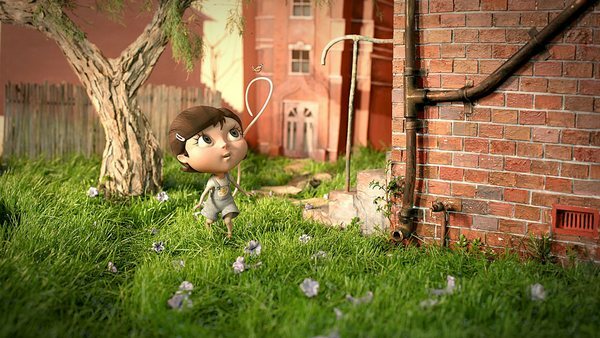 The film is about a girl born with a tail that expresses her emotions, told through a collage of 3D animated characters and hand-made miniature sets. As a child, her parents celebrate their daughter’s eloquent, athletic appendage and her tail inspires magical make-believe adventures with her friends. As she grows up, however, the young woman faces pressure to fit in, and must choose between conformity and self-expression. It’s a little dark but also funny and delivers the all-important message of learning to appreciate the things that make us unique. I want to see it for the amazingly realistic sets alone! The producers of the film have put A Cautionary Tail up as a Kickstarter project. They’ve made a trailer but need a tad more funding to finish the thirteen-minute film. At last count, they needed just $1500 to make their dream a reality – hopefully we’ll get to see a finished product!